Too cute to use as a dishcloth, don’t you think? Sweetheart Dishcloth by Maggie Weldon is an absolutely beautiful dishcloth with a really pretty design. 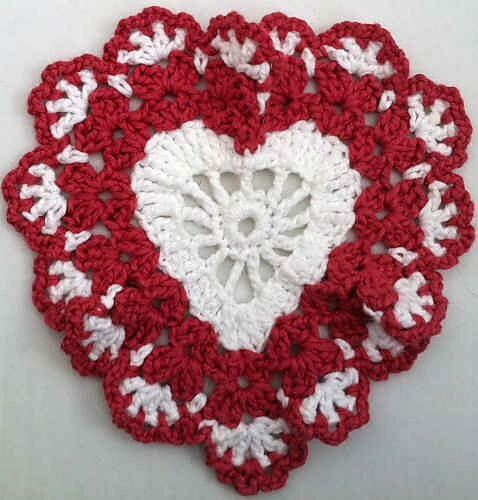 This pattern can be used as a table decoration or doily around Valentines time or any day of the year when you want “to put” your heart on the table. 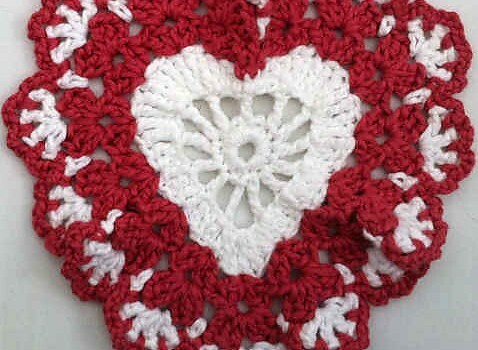 Really quick and easy and fun to make, this heart doily pattern will surely please any hearts lovers. Thank you. Very pretty. Valentines day is not that far away. Oh I have to try that. thankz. This site never took me to the pattern!!! You KNOW I want two of these. I bet you coulfd figure out the pattern. I keep looking for it..lol I love this one…it says free but no where to be found. A way to bring you to their site.